Part of my goal with this blog is to provide fun, creative and enjoyable meals that can be enjoyed by the whole family! But food isn’t the only thing that makes dinner time meaningful. Many factors play into this, such as having a consistent dinner time every night, eating together and having sincere conversation. Below are some articles, ideas and activities that can be incorporated into your dinner time to make it more meaningful. If you still aren’t convinced about the significance of family meal time, you should know that kids do better in school, are less likely to have substance abuse problems, and they have a decreased risk of unhealthy weight-loss (Visualizing Nutrition). 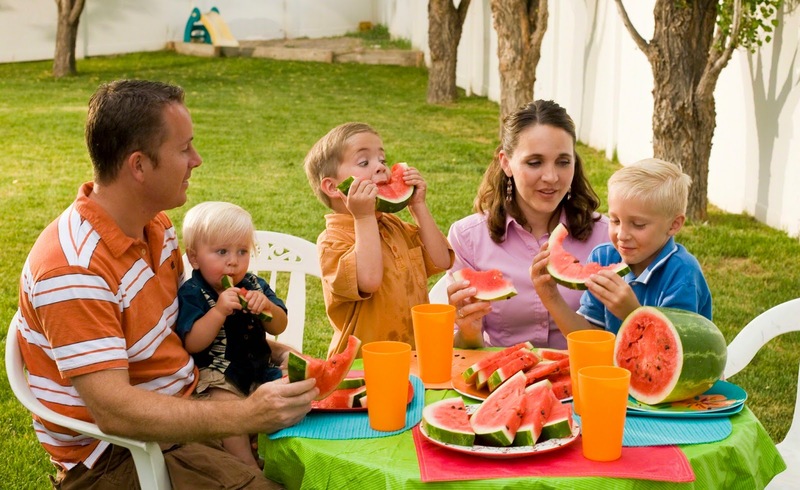 Additionally, because of family meals, kids are more likely to get the recommended amounts of fruits and vegetables, and this becomes increasingly significant because”dietary habits are formed in childhood”: check out this article at Families Eating Better! Even when you are good at having dinner together every night, it can be hard to have a genuine conversation. Somehow the talk always turns to things such as “I don’t like eating green foods!” or “Put your cell phones away or else..” and something about remembering the starving children in Africa. Well here are some discussion topics to get you started! The Dating Divas have some great “Table Topics” printables for you, as well as some fun dinner place mats. One article from LDS.org, called Mealtime, Family Time, has some great suggestions about dinnertime conversation and the Table Talk Book also has a load of table discussion questions. You can preview the book through the Amazon link, or follow the “Table Talk” link at the top for a preview of 10 topics. Hopefully these resources will get you headed in the right direction! But let me end this section by sharing one of my favorite scriptures. It is 2 Nephi 25:26, “And we talk of Christ, we rejoice in Christ, we preach of Christ, we prophesy of Christ, and we write according to our prophecies, that our children may know to what source they may look for a remission of their sins.” This plays right into mealtime, because the most important thing that we can discuss while we are having dinner with our family is our Savior Jesus Christ. As a child, my dad always took me and my siblings out for a “daddy date”. He turns with each of the kids, usually taking out one child each Saturday. We looked forward to our turn with him, and cherished each date. Do you try to have a special meal with your children or spouse, but find that your budget isn’t very accommodating to this? I understand this perfectly! It is unfortunate to cut that special time together, however, just because there isn’t enough money in the budget. So what do you do? This article has a great idea on how to handle this situation. How about a special dinner in the back yard, or in the fancy dining room, separate from the rest of the family! This can make a child feel special and loved. Even if you don’t do exactly what the article suggests, maybe it is the spark to get you thinking outside the box!